It would be an easy thing to call the tenacious Hasidic women of Ezras Nashim smashers of the patriarchy, though such a description defies the everyday realities of this superheroesque squad of inspired and faithful women portrayed in director Paula Eiselt's exceptional feature doc debut 93QUEEN. 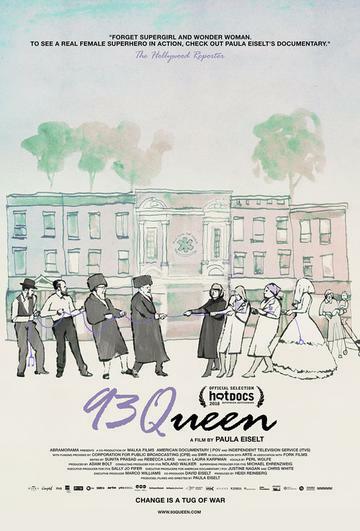 93QUEEN is set within the Hasidic enclave of Borough Park, Brooklyn, and follows a remarkable group of female Jewish EMS workers who created this first all-female volunteer ambulance corps in New York City, a companion to, but not always seen as such, Hatzolah, the all-male emergency service that has long served the area's ultra-orthodox Jewish population. Herself an ultra-orthodox Jew, first-time helmer Eiselt has given exceptional access to the ins and outs of Ezras Nashim, a group that appears less inspired by challenging patriarchy than simply an overwhelming desire to effectively serve ultra-orthodox Jewish women in need in a culture that has long demanded strict separation of men and women yet has also long afforded men, but not women, special exemptions in cases such as emergency services. For many women, this often played out as a traumatic experience on top of a traumatic experience. After all, in a culture where many women have never even held hands with someone other than their husbands it's not difficult to imagine the nearly impossible challenge of being in a room with 10 strange men while exposed from the waist down. Ezras Nashim doesn't simply challenge the patriarchy, it nurtures its community by honoring the needs of women who would forego any sort of help in order to avoid such a distressing situation. Destined to be controversial among the orthodox Jews it was created to serve, Ezras Nashim many in the community feared that the group would erode the long valued traditional gender roles. It was a fear that one of 93QUEEN's central figures and an Ezras Nashim co-founder summarily dismissed as unwarranted. 93QUEEN spends a tremendous amount of time with Rachel "Ruchie" Freier, a compassionate and tenacious woman who in 2016 became the first Hasidic woman to be elected as a Civil Court judge when she was elected to serve the Kings County 5th judicial district in New York State. 93QUEEN, which is set to screen as an Official Selection during the 2018 Heartland International Film Festival in Indianapolis from October 11-21, is an immensely entertaining and involving documentary that follows the traditional doc route in telling a simple yet remarkable story. 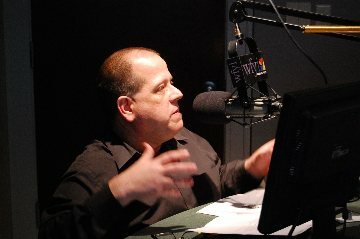 Eiselt's lens captures several of the group's challenges, from a painstaking decision on whether or not to allow single women to participate, as some felt that a woman being married would have the maturity level necessary to handle being an on-call EMT, to the initial wave of pranks and hoaxes the group received as rabbis refused to endorse the group and word began to spread about their services. The beauty, and even the emotional core of 93QUEEN, lies in the fact that Eiselt has captured these women as they balance their continued devotion to their faith with their groundbreaking efforts to better serve their community. You can have it both ways and the women involved in Ezras Nashim prove this time and time and time again. For more information on Heartland tickets, visit the Heartland Film Fest website.